A cripple to the last. And left me as you see. To cheer me as I lay. Is the poor cripple's wish. 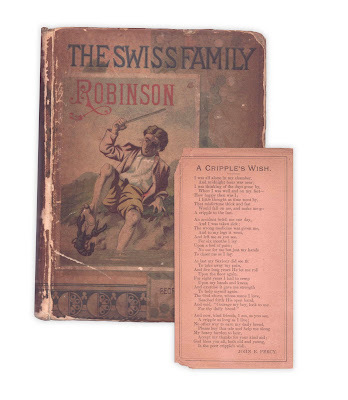 Found in "Swiss Family Robinson." I feel the need to make a witty remark connecting the lobster about to bite that toe to The Cripple's Wish - but I can't. My heavy burden: not witty enough. I feel the need to check my social media accounts 10000+ times a day. My heavy burden: addicted to the internet.